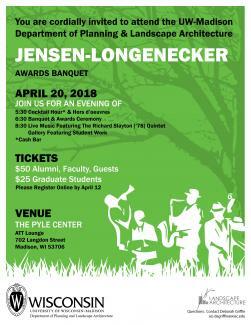 39th Annual Jensen-Longenecker Awards Banquet April 20, 2018 at the At&T Lounge of the Pyle Center! Undergraduates do not need to pay for the banquet. A sign-up sheet has been sent out through email for undergraduates to RSVP for the banquet.